Somebody has experience with these? They look interesting. Might try this on my AT next time I replace tires. Waiting for your report friends ! Love the Tourance on my Varaderos till they become "next" , from that date I hate them (I felt like I was falling in each turn ) and change to Bridgestone . You know lately I bought a 2nd mistress and old love of mine from Yamaha, a Fazer 8 to do everyday riding, it is better to me on highways. So it led me to compare handling capabilities and while the position and ergos are of course totally different, I feel on the Yamaha I am in total control, meaning I can also do crap. On the Honda, I feel more ease it's less physically engaging, but I also feel a kind of "autopilot" factor, where it takes the lines without me working and sometimes I would rather place the motorcycle myself in turns. Not sure this is relatable to any of you, but is this a tire brand feel, because I've only used continental on the Honda and the Yamaha always Dunlops. Or is this just the 21 to 17 inch front feel !? I'm contemplating eventually changing to 19rims, so this interests me ! Thanks Zebulon, I think on my next tires change I'll try the Pirelli Scorpions, see if it gives me the sportier feeling I'd like on paved roads. as the AT, that's why I'm a bit puzzled ! a guy with a KTM 1290 and another with a Multistrada 1200, so I love this bike, that said this "autopilot" feel is weird at times. That's good news. Guess we'll have to wait until spring for more distance on your tires. Put my bike away last weekend, too. 9,000 kilometres and still lots of tread left on the Michelin Anakee Wild. A bit of feathering on the outsides of some of the knobs but it still rides smooth on the road and works just fine in gravel and dirt. Have put some more kils on my anakee wild this WE. Tried twisties roads, and (for instance) not so confident as with TKC70; not so precise in driving turns. Just came upon this interesting test, seems less of a motorcycle journal typical tester and sounds these Karoo street might be the best compromise indeed ! 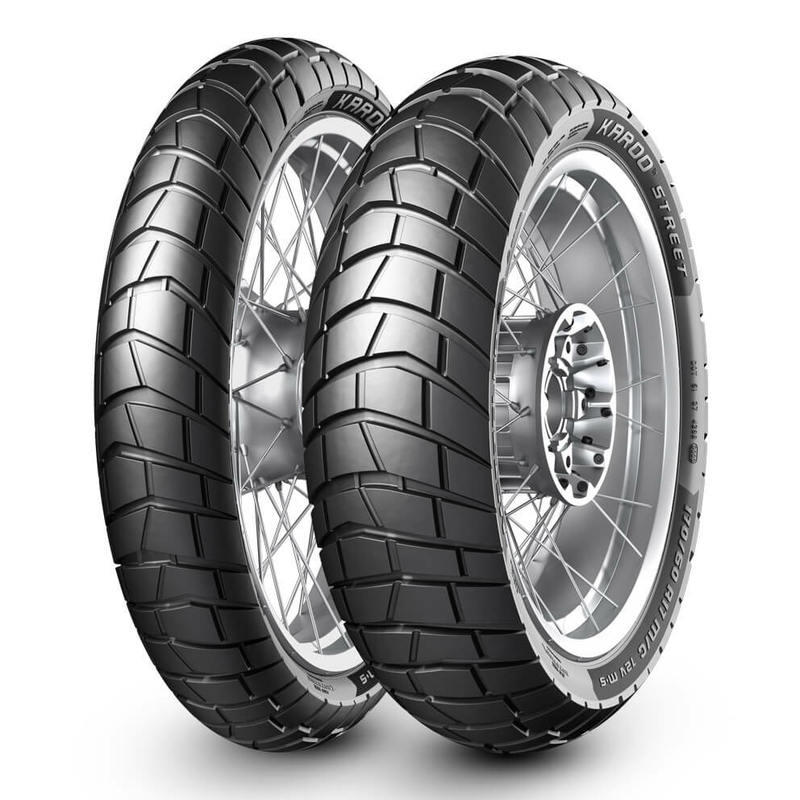 Also interesting to know Metzeler and Pirelli are the same company, so I might skip the Scorpion trail 2 and try these Karoo next ! How fast they wear out? are said to be similare rubber to Pirelli ST2, that would make sense as it's actually joint companies. I've got them for about 2k klms now and I must say I'm impressed. They handle road conditions (dry, wet, snow) as good or better than the tkc70 I've had before. The noise they produce is louder than the tkc's but for these type of tires it's more than ok for me. I haven't been off-road for the moment so I can't comment on it. Landed on this tire today while looking for winter stuff, maybe Norwegians and Finns know about it. Here's a video of an owner of a motorcycle shop in Eastern Canada (Quebec) taking the winter tires for a ride. Not for snow necessarily but for cold weather conditions approaching zero degrees Celsius.